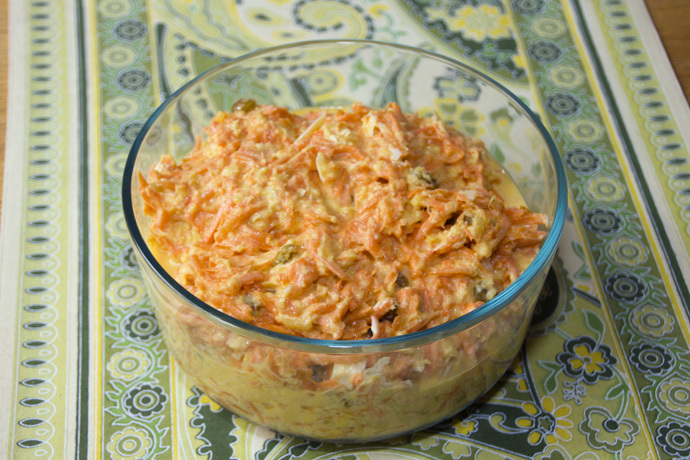 Carrot Raisin Salad is one of my husband’s favorite things. He is so happy when I make it, and it’s very simple to do. 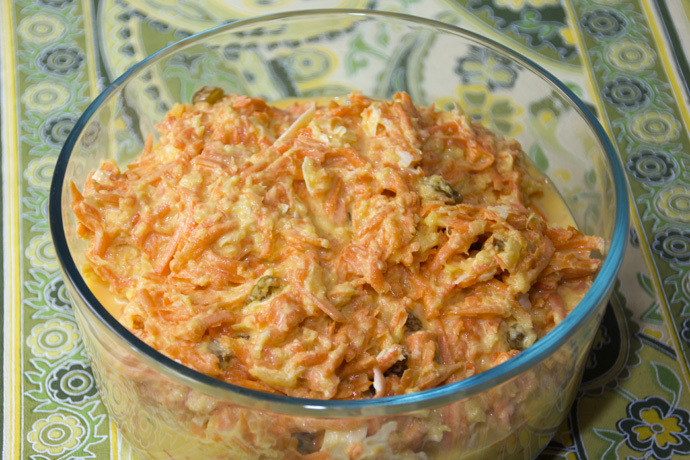 I added some extra zing to the standard mix of shredded carrots, raisins and mayonnaise by using Vegenaise and golden raisins, and adding crushed pineapple and a bit of flaked coconut. This version is both vegan and sugar-free, but regular mayonnaise and another sweetener, such as sugar, can easily be substituted. Grating vegetables is one of my favorite things to do in a food processor. Dump in a bag of baby carrots and you have a bowl of beautiful evenly shredded pieces in about 5 seconds. 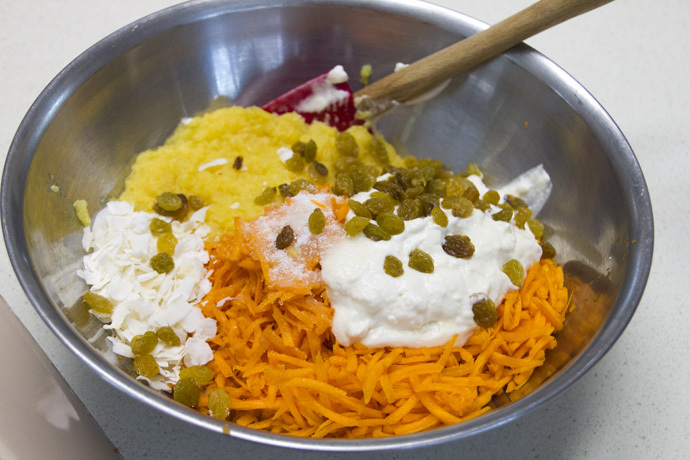 If you don’t have a food processor, use large whole peeled carrots and hand grate them. Drain the pineapple, but leave it a little wet. The extra juice adds wonderful flavor to the salad. 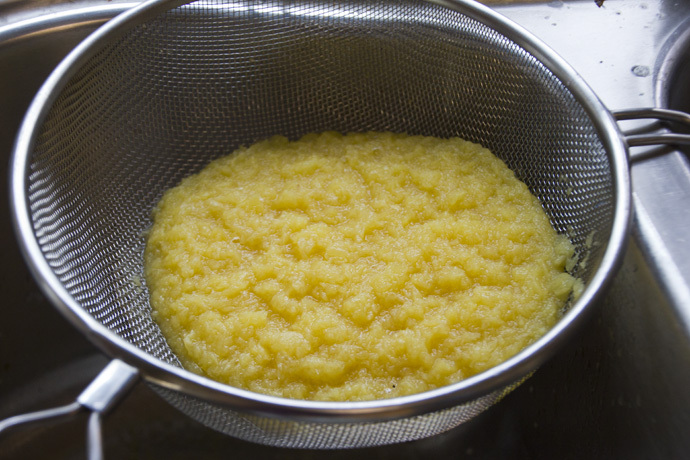 Combine all the ingredients in a large mixing bowl and stir to combine. 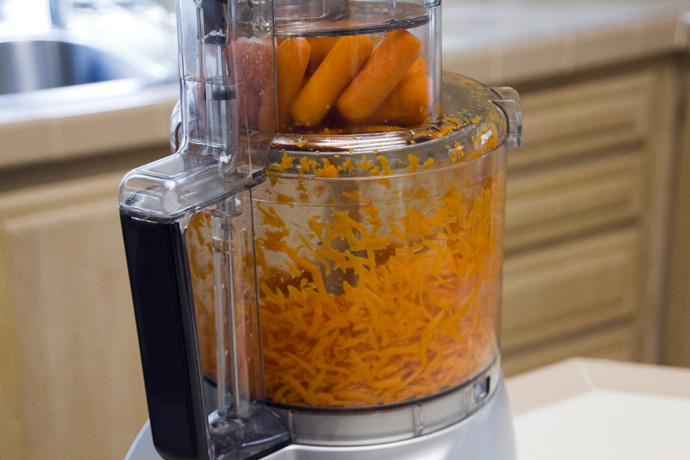 Shred the carrots in a food processor. Place them in a large mixing bowl and add all remaining ingredients. Mix well.